Copyright © Tobias Martin - This image is copyrighted. Unauthorized reproduction prohibited. 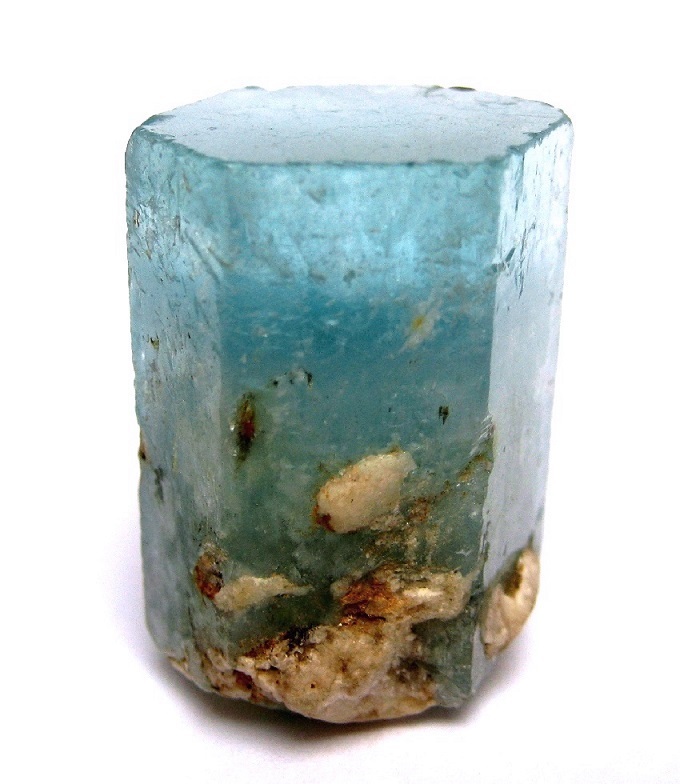 Sky-blue single crystal of aquamarine with some relicts of white matrix. Specimen height 3 cm.